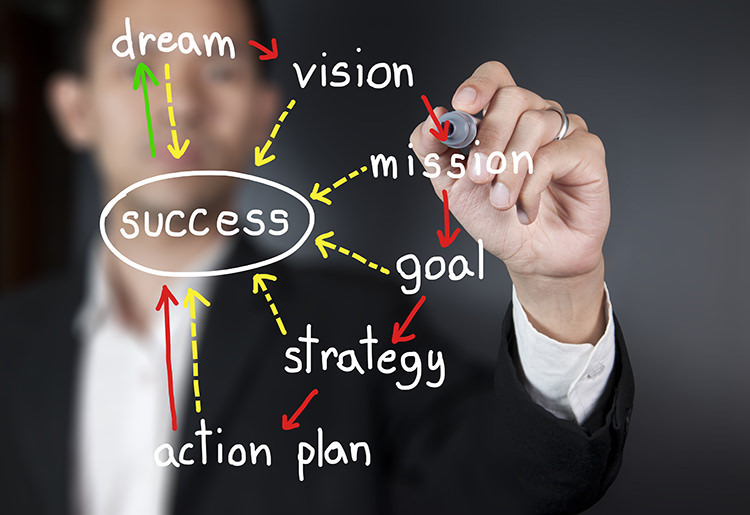 Is becoming a business owner your big dream for the new year? Many people share this dream, but only a dedicated few are able to realize it. Before you can get your vision off the ground, you need to stabilize your financial situation. Follow these financial tips to put yourself on the path to business success. Smart financial management starts with a strict monthly budget. Our first tip to opening a business is to calculate your necessary expenses and subtract them from your income to find out how much you have left for savings and emergencies. Use this same strategy to plan a budget for the type of business you want to open. Making projections based on current markets will help you figure out the amount you’ll need to get started. While working out your budget, note which expenses represent payments on credit cards, loans, and other forms of debt. Make a plan to pay off these debts as soon as possible. Starting with a clean slate when you establish your business makes it easier to obtain financing and reduces the stress of juggling multiple monthly fees. Maintaining a routine payment schedule also gives your credit score a boost. You need savings to support yourself during the early stages of establishing and running your business. Figure out how much you can set aside each month while still meeting expenses, and set up a system to have it automatically deposited into a savings account. Work with your bank to set up an account with favorable returns so that every deposit earns interest. If you’re like most people, you’re already spending money on unnecessary services and products. Be honest with yourself about how many times per week you buy food and drinks from restaurants. Consider how often you use streaming media, monthly subscriptions, and all the data on your phone plan. Cut back wherever you can, and put the money into savings instead. Make it your goal to save for your business, and use this as your motivation to put in the extra work necessary to amend your budget. Use a notebook, spreadsheet, or app to record every cent you earn and spend. This financial tip will help you visualize where your money goes each month and whether or not you’re on track with your savings plan. Writing down personal income and expenses not only ensures that you stay on budget but also prepares you for managing your business finances in the future. 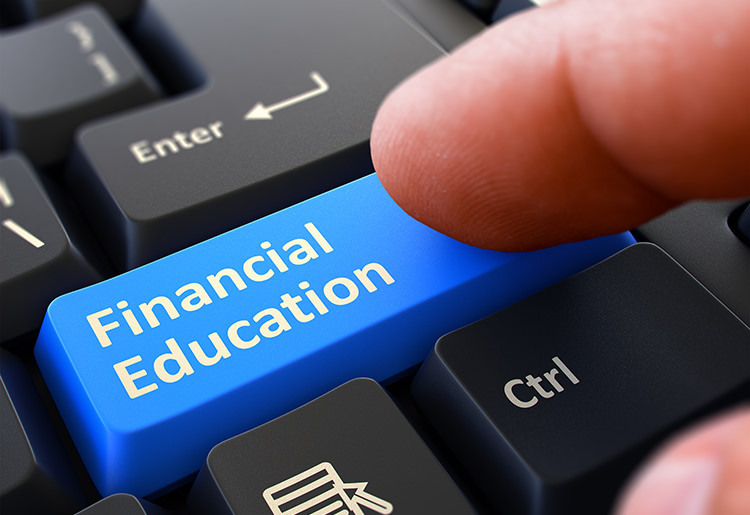 Investopedia defines financial literacy as “the education and understanding of various financial areas.” Without this understanding, it’s difficult to manage money on a personal or business level in the long term. Take the opportunity to learn as much as you can about savings, planning, investing, and other important financial topics. Talk with an advisor or confer with knowledgeable friends and colleagues to get a better grasp of the financial terms and processes you need to understand to successfully establish a company this year. Once you have the hang of managing personal finances, shift your focus to business matters. Make a list of goals, starting with what you want your business to be, your vision for the future, and the short- and long-term milestones you must hit to achieve the vision. Refer to your initial budget projections, and begin to calculate how much funding each goal will require. Extend your practice of personal frugality into the plans for your business. Figure out what furnishings, equipment, and office supplies you’ll need, and seek out ways to get good quality products at a discount. Scour internet classifieds, visit local consignment or antique shops, and keep an eye out for sales on electronics. Negotiate with vendors from whom you’ll be obtaining products and inventory on a regular basis to secure favorable prices. These practices will keep startup costs low and ensure you have more cash on hand to support operations. Putting your finances in order before starting your dream business paves the way to obtaining additional funding. Nearly every business requires a loan at some point, so take the time to look at multiple types of lenders before you find yourself in need of more money. Check out banks, credit unions, SBA loans, and alternative lenders to determine which options fit your business model and your budget. When you know where to go for help, you’ll have the confidence to take the risks associated with becoming a business owner. Follow these tips for opening a business and you’ll be well on your way to becoming your own boss by next year. So are you ready to get started on the road to opening your dream business? Read more about putting your finances in order, or read reviews of the best places to get a small business loan.